If your goal is to build muscle, boost strength and ramp up athleticism then this 12-week plan is for you. In just 3 months you can transform your physique to new heights and build your confidence higher than ever before. If you want to get plain jacked then this advanced lifting program is for you. Whether it’s preparing for the summer by stripping back body fat to get ‘sliced and diced’, or using the winter to hit a clean bulk, this program guarantees mass results. It’s a workout program design to maximize muscle growth, with minimal fat gain. And as the holy grail of body composition training, this lean muscle plan is the most challenging but rewarding program you’ve ever tried. You’re here because you want to build muscle and strength. You want to keep lean at the same time, but the main focus here is just to get jacked. Like seriously muscular. Right now you might already be lean. You might not be. The reality is it doesn’t really matter at this stage. But what does matter is that without the right program you’ll never fill your potential. We don’t want you to scratch the surface with this muscle building plan… we want you to straight up smash the walls through. We know that you train fairly regularly right now and that’s good. After all, this is a pretty advanced muscle building plan, so without the foundation strength that you’re bringing to the table it’ll pretty much swallow you up whole. 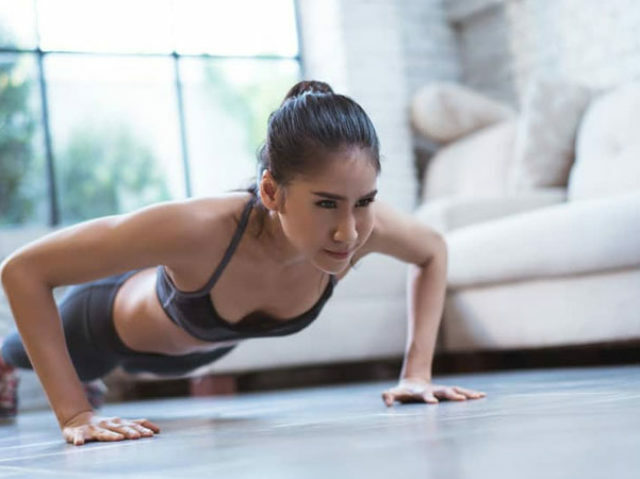 If you’re new to exercise or haven’t trained in well over 3 months we’d suggest you opt for a different workout plan such as our 12 week muscle building program for beginners. Your progress might not be as rapid, but safety first. If you’re fairly experienced, know your limits and are an already competent lifter then lace up your gym sneakers, lock in your wrist wraps and lets start making gains. When it comes to maximizing muscle mass in 12 weeks you need to use every trick in the book. That means taking every opportunity to learn more about the intricacies of hypertrophy (muscle growth) and turning the science of muscle physiology into an art form. We’re pretty sure you’re not here to take a chemistry exam, or brush up on your biology knowledge – but understanding the basic terms and concepts will really help you in the long run. How does muscle growth actually occur? Although there are a few different types of muscles, the ones in your arms, legs, chest and shoulders are all referred to as skeletal muscles. They’re called this because they attach onto your bones and when they contract they cause your skeleton to move. If you were to strip the skin from your body and look at these muscles, you’s see that they are organised into different fibers. They have a ‘striated’ look to them. They look like this because these fibers are made up of filaments arranged like rope that are organised into functional units called sarcomeres. And as the individual filaments wrap around each other they form the lines that give your muscles their stripy look. When you lift weights you stress these functional units and damage them. The tougher the workout the more microscopic damage takes place. After your workout, your body uses stored energy to build back the damaged cells. It uses cellular process to fuse damaged muscle cells together to form new proteins. As an in-built safety mechanism, your muscle fibers build back both bigger and stronger than they previously were. This makes complete sense too if you think about it, as your body is just trying to protect itself. This is called the ‘tear and repair’ process. It’s a completely normal part of the muscle growth cycle. And the result is new cells and bigger, more jacked muscles. Creating a stimulus to create damage to muscle cells can be done in different ways. Both of these result in muscle damage, which of course is the first stage of new growth. What you’ll notice is that mechanical tension is very much about load-volume. This simply means that when you lift a heavy weight you create such a stimulus that muscle fibers become damaged. It’s not so much about how heavy the weight is, but how much metabolic by-product you build up. Go back a few years and increased muscle mass was only thought to occur with a rep range of 8-12. If you went any lower you wouldn’t create a stimulus for growth and if you went higher reps it’d be the same result. But as more and more research becomes available we realize that you can get jacked at any rep range. It doesn’t matter whether it’s a light weight or heavy. As long as your create enough of a stimulus, you’ll grow. Remember, mechanical tension causes growth with heavier weights… but metabolic stress can also trigger muscle mass with lighter weights too. Key Point: You can grow muscle regardless of what rep range you use. It’s all down to how much effort you put in. 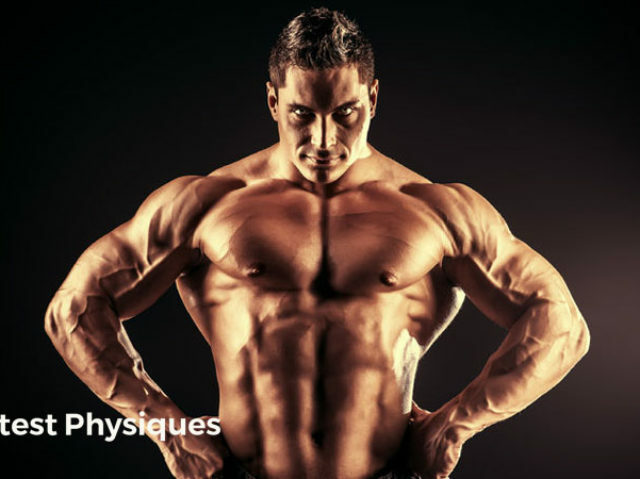 Armed with the knowledge that three’s no one true optimal rep range for hypertrophy, we need to take a look at the keys to maximum lean mass growth. If you follow these rules and apply them to your 12 Week Lean Muscle Growth Workout Plan, you’ll really tap into some huge results. If getting jacked was easy we’d all be walking around the local shopping mall with 300 lbs of pure prime beef muscle mass attached to our frames. Unfortunately it’s much harder than that. On this lean muscle plan we want you to bring your A-game. That means effort and intensity throughout. If you’re asked to complete a set of say 8 reps, you choose a weight that just lets you squeeze 6-8 reps out. If you can do 9, 10, or even more than that… it’s too light! Yes of course safety comes first. You’re going as heavy as you can with exceptional form at all times. But if you’re aiming to maximize mechanical tension you’ll need to do everything you can to trigger a positive adaptation – so once you’ve nailed technique, let’s get loading up the bar. Hands down the best way to build more muscle is to increase your load-volume. For example, if you lifted 3 sets of 10 reps with 80 kg your total load-volume for that lift would be 2,400 kg. If you added weight or reps or did another set you’d increase load-volume, and as such would grow more muscle. There’s an overwhelming amount of evidence to suggest that if you lift a weight more times you’ll boost growth. Whether it’s a light weight or a heavy weight is kind of irrelevant if volume is matched. Exactly how much muscle can you build in 12 weeks? 12-weeks is plenty of time to put a serious dent in this program. You can significantly boost your strength and you’ll definitely add muscle. If you’re natty (a natural lifter) the research suggests that lean muscle growth could be anywhere from 0.5 pounds per month if you’ve been training for over 3 years, to 2 pounds if you’ve only been training for 12 months or so. Even though there’s a high variability from one person to the next, this gives you a good idea of the slabs of muscle you could put on in as little as 12-weeks. This workout plan takes you from your current starting point to lean and mean in 12 weeks. To do this effectively you need a good base of fitness. If you’re a beginner or coming back from a long break, this program might be just that little bit too tough. We’re aiming for high load and high volume here. It’s the only way you’re going to add mass fast and create a physique to be proud of. There’s no gradual introduction as you start phase 1 with all guns blazing. You’ll be using the foundation of strength you already have to hit some high loads and a nice amount of volume. The goal here is to maximize both upper and lower body development by following a push-pull-legs approach. You’ll be working all of the muscles that ‘push’ on one day, ‘pull’ ones in the next session, and finishing with a legs workout. We’d suggest taking at least 1 day off in-between sessions, just for recovery. And because it’s high weekly volume we’re after, this push-pull-legs strategy is definitely the way forward here. One thing you’ll notice is that rest periods and reps are varied. We’ve done this on purpose to maximize the growth response. For multi-joint, multi-muscle exercises (known as compound lifts) we’re giving you longer to recover and a lower rep range. That way you’ll be able to lift heavy in each set and maintain a huge mechanical tension stimulus. But for single-joint exercises (isolation lifts) that target one specific muscle we’re giving you only 60 seconds rest. This will absolutely set your muscles on fire and trigger a huge metabolic stress demand. In phase 2 you’ll be following much of the same in terms of intensity and volume. But to keep things fresh we’re giving you some different exercises and more of an emphasis on training across the whole strength and endurance continuum by switching up the rep ranges. To do this you’ll be using descending pyramid sets for some of the exercises. This is simply changing a training method where you start off heavy and decrease the weight each set, while increasing the rep range. It’s a great way to maximize mechanical tension and metabolic stress in the same workout. If you want one of the most advanced strength and muscle building training protocols known to man you’ll find it in this last phase. We’ll be stripping the total sets right down but fueling some huge volume by implementing a brutal workout schedule called cluster sets. How do cluster sets work? You pick a weight that you can only just squeeze 5 reps out with… but you’ll actually do 12 reps! The way you’ll do it is by splitting those 12 reps into mini ‘clusters’ of 3 reps. After each cluster you’ll rest 20 seconds and keep repping out sets of 3 until you complete all 12. These ‘intra-set’ rest periods aren’t quite long enough to drop the dumbbells and relax – but they’re long enough to reset, recover and absolutely obliterate a high volume session. It’s just a cheat way of squeezing out more reps with a heavy weight. Clusters are a great way to increase volume with higher loads. You’ll get phenomenally strong and pack on muscle like you’ve never known.